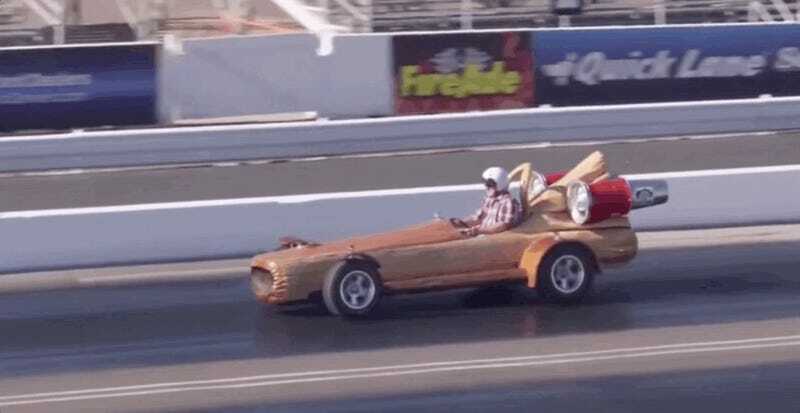 In Scottsdale, Arizona, this week, you could become the new owner of an all-electric beast carved from pure Canadian red cedar—the world’s fastest motorized log. The car, er, vehicle, is the work of a log-home manufacturer; Bryan Reid Sr., the founder of Pioneer Log Homes, explained his reasoning to the CBC. “When there’s thousands of cars being auctioned off... sooner or later it comes to ‘why don’t you build a log car,’” he told CBC in a 2015 interview about the project. The proceeds of the auction, which Reid hopes will be up to seven-figures, will go to veterans’ groups. Here are some more photos of the log, which weighs around 2,200 pounds.